Last summer, it seemed everyone I knew had caught the spiralizer bug. Courtesy of the paleo movement, which asks its adherents to, among other things, give up carbs, spiralizers, a kitchen gadget that slices vegetables and fruits into curls and (duh) spirals, are having their moment in the sun. I jumped on the bandwagon to take a look at the recipes and techniques in “150 Best Spiralizer Recipes” by Marilyn Haugen and Jennifer Williams. A medium-firm vegetable, zucchini, via spiralizer, easily transformed into traditional, wheat pasta noodle shapes. Toss the pretty, spiralized vegetable into hot oil, then into some red sauce, and voilà, a veggie-centric dinner without those pesky gluten bombs. Conveniently, this no carb concept carries over to other niche eating categories. Recognizing this, “150 Best Spiralizer Recipes” is divided into Gluten-Free, Paleo, Raw, and Vegetarian and Vegan Recipes. After skimming the helpful Basics and Pantry sections, I set to work. I began with a classic: Lentil Marinara with Zucchini Spaghetti (p.164). The lentils, left whole, added a chunkiness to the pasta sauce that my kids were not keen on (next time I will purée the finished sauce before serving) but the familiar flavors of pasta sauce (garlic, onion, basil, oregano) carried this quick-to-assemble dish. 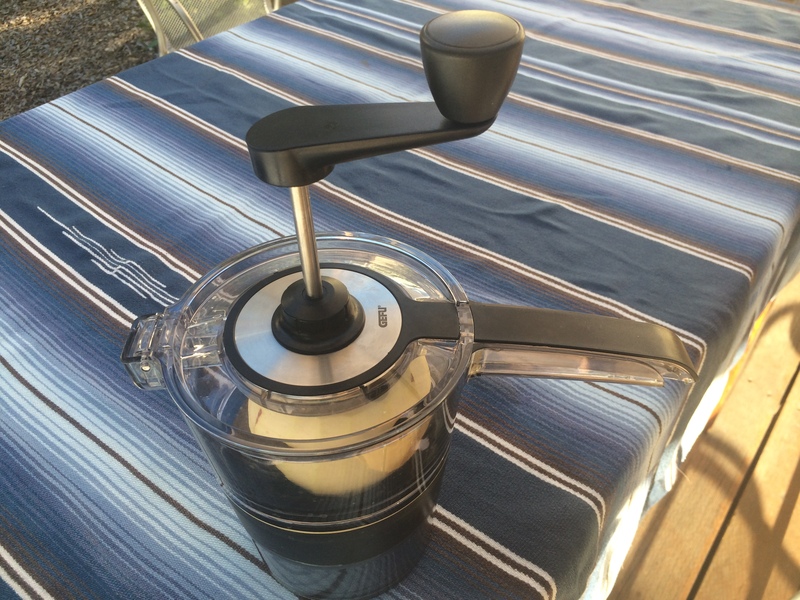 No longer a spiralizer novice, I moved onto dishes that asked more of me and of the gadget. Turkish Baklava Salmon and Roasted Spiral Vegetables (p. 37) involved spiralizing only Yukon Gold potatoes. Beautifully sliced, the potatoes cooked quickly and, mixed with horseradish and crème fraîche, made more of a French than Ottoman side dish (walnuts and gluten-free breadcrumbs on the salmon lean towards Turkey), but the dish was approachable for everyone at my table and the potatoes were a huge hit. Chicken, Arugula and Spiral Radish Pizza (p. 58) is utterly gluten-free. Made from cauliflower, goat cheese and flax, the pliable crust required a fork and knife to eat properly but the contrast of sour, bitter and spicy flavors in the crust and the toppings of radish, arugula and mustard made this updated pie oddly appealing and worth the effort. And radishes seem meant for the spiralizer, giving way to transparent wisps without much effort from the cook. Spinach, Quinoa and Curly Apple Salad (p. 138) meant spiralizing a red onion and four apples to toss with the pecans, cranberries and Feta. After a glance back at the Basics to determine which blade to use, I set to it but quickly rejected the spiralizer in favor of my sturdy kitchen knife. It was simply quicker and less tiring to work with a good knife than a good spiralizer. 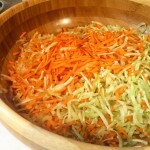 Ditto the Pacific Island Chicken and Broccoli Slaw (p. 87). Broccoli stems are rough sledding, even for the sharpest of spiralizer blades. I love the sustainable aspect of using broccoli stems but next time, I will whip out the Cuisinart and its shredding disc or simply purchase pre-shredded broccoli slaw mix. 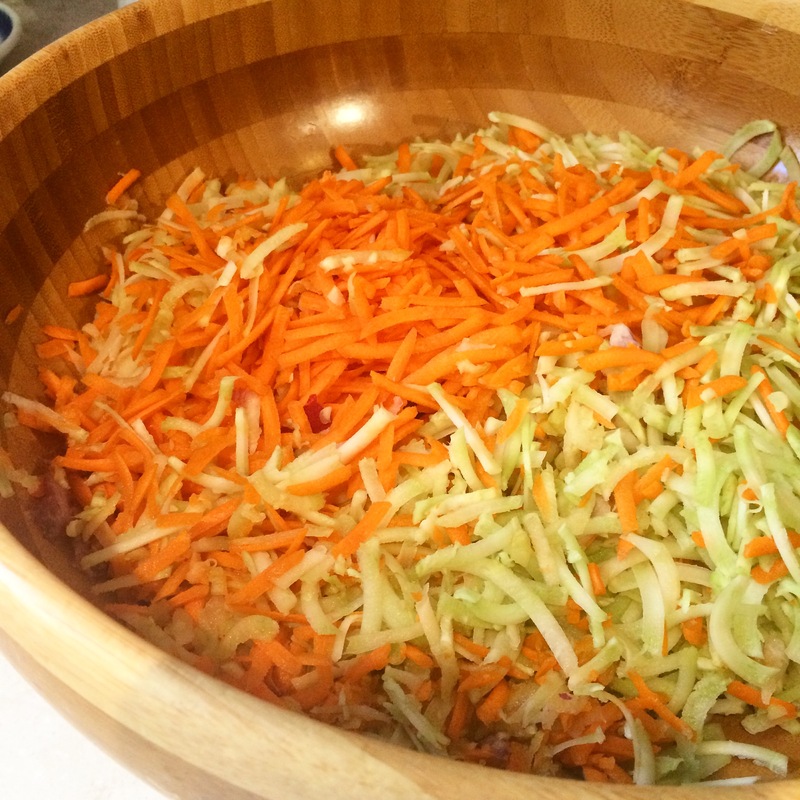 Spiralized carrot & broccoli stems. I all but threw in the towel with Chicken Apple Sausages with Autumn Vegetables (p. 61). I selected the recipe for its interesting use of rutabaga, an under-appreciated vegetable, but getting these oh-so sturdy roots to give way was a Herculean task. My arm was so tired after a fourth of the prep work, I gave in to the siren call of the Cuisinart. Haugen and Williams have crafted a cookbook that cross-pollenates a slew of cooking trends (spiralizing, paleo, gluten-free), capturing them under the spiralizer heading. Without a spiralizer, the book is accessible for beginning cooks with little more than a good kitchen knife and a well-supplied local supermarket. A few recipes are inspired and reward the cook who puts together bitter, sour and spicy flavors. Spiralizing does add time to prep and, though the authors do not add cooking times to any recipes, most are easy enough for weeknight cooking if you take a few shortcuts or skip the spiralizer altogether. That would defeat the title of the book but then, perhaps the newest kitchen gadget in your life has already been relegated to the closet. P.S. 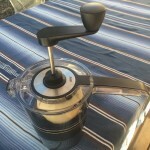 I used the sturdy GEFU Spiralifix Spiralizer to test this book, a good value at approx. $40.